At Sunday’s annual Television Critics Association event, DC Comics and The CW announced an expansion of the Arrowverse, which will now include Vixen. The animated series Vixen will take place in the Arrow and Flash universe, with both heroes making an appearance. Set to debut this fall, the show will run on CW Seed, the network’s on-line presence. Arrow‘s executive producer Marc Guggenheim is overseeing the project. 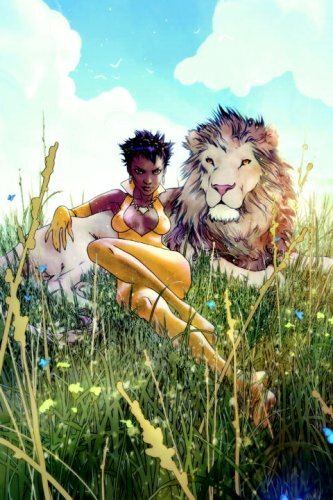 Vixen, whose real name is Mari Jiwe McCab, originates from the fictional African nation of Zambesi where her parents were killed. Through her family’s Tantu Totem, she can access the powers of animals in the animal kingdom, from the super-strength of a gorilla to the speed of a cheetah. Created by Gerry Conway and Bob Oksner, Vixen first appeared in Action Comics #521 in July 1981. Vixen has been a member of the Justice League, the Justice League International, Suicide Squad and other superhero collectives. She has made previous appearances in the Justice League Unlimited animated series, in which she was voiced by Gina Torres.